After High School she continued her education at the Fine Arts College. Her freelance photography projects motivated her to earn a two Bachelor degrees in both photography and visual Arts from “London College of Contemporary Arts (LCCA)”. Mrs. Naz Smyth began her work as a professional at the age of 25 as a photo journalist with focus on women’s rights issues including women’s right to divorce and violence against women. She is currently an independent photographer based in London. The uniqueness of her photos is reflected in her ability to capture the Essence of emotions, beauty and spirit of her subjects. 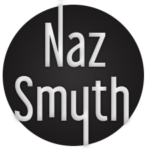 Naz Smyth is fluent in English, French, and Deutsch. Her multicultural background is showcased in the milestones and celebrations she has photographed.